Each took a sample class through an example of differentiation as they would use it in the classroom, varying the discussion topic, difficulty of question, and level of book to match the student or providing a project open-ended enough that students could work at their ability level. Ms. Wuest differentiated a lesson for the entire Board and the superintendent, Dr. Shaner. After that, each teacher demonstrated their area of expertise for two Board or administration members. The differentiation provided showed a good example of what differentiation could be like in Rochester Community Schools. Mrs. Fragomeni and Ms. Larson acknowledged that differentiation is inconsistent throughout RCS classrooms and steps such as professional development and teacher labs are needed to present methods of differentiation to teachers not employing some techniques. Unfortunately, both professional development and teachers labs have been impacted by budget cuts and teacher labs have only reached a minority of RCS teachers. When properly and consistently used, differentiation can be a great Tier One support in the Pyramids of Intervention that Rochester Community Schools uses. 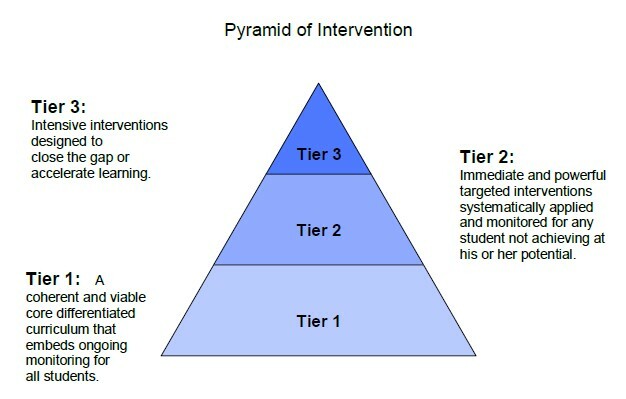 However, while Tier Two, Three, and sometimes Four interventions are available for students with special needs and behavioral issues, they still need to be implemented for high ability students in RCS. RCS district administration has recognized this and is creating three subcommittees to determine interventions for low achievers, advanced learners, and behavior issues and a fourth subcommittee to review grading practices to better assess progress for multiple levels of learners. 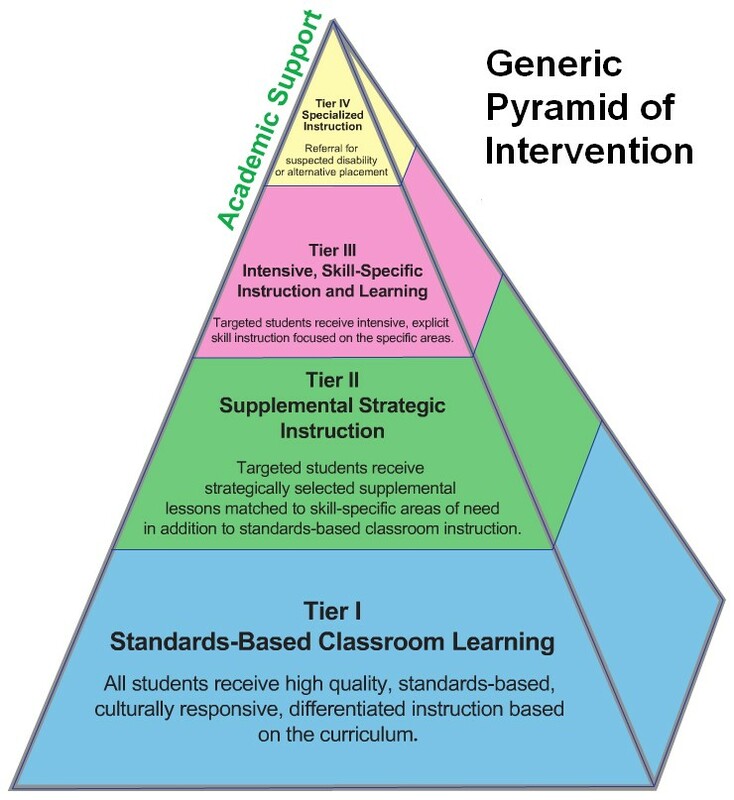 These committees will be examining the Pyramid of Intervention, a general education model, and the Response to Intervention (RTI), typically used for special education, to create a new multi-tier system of support. There will be an aim for consistency across the district and creating tiered interventions where they do not currently occur. Members of Rochester SAGE have offered to assist the district as representatives of parents of gifted students in whatever capacity the district requests. We are thankful to Mrs. Fragomeni, Ms. Larson, the district administration, Board of Education, and the presenting instructors for this study session on differentiation. We are looking forward to this discussion leading to an increase in consistency in differentiation across schools and in options available for gifted learners.